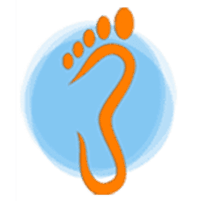 Though arthritis anywhere in your body can certainly cause unbearable joint pain, the primary issue with foot and ankle arthritis is you’re left in agonizing pain with each step. Before arthritis starts lowering your quality of life, learn how the leading podiatrists at Animas Foot & Ankle in Durango, Colorado, can help. Schedule your arthritis evaluation by clicking on the online scheduler or by calling your closest office directly. Sometimes, your weight and diet are to blame, too. With gouty arthritis, for instance, being overweight and having a diet high in purines — such as shellfish, red meat, and alcohol — can lead to the formation of uric acid crystals. These sharp, jagged crystals build up in your joints and cause severe pain during a flare-up. You could even find that your joints seem overly stiff after long periods of inactivity, often while taking your first steps after waking up in the morning. Because arthritis is progressive, the condition is only going to get worse without proper treatment. In severe cases, you might need surgery to treat arthritis. The skilled podiatric surgeons at Animas Foot & Ankle use arthroscopic and minimally invasive techniques to repair your joint and remove damaged tissues. If needed, they can even replace your joint with an artificial joint, such as with a total ankle replacement. Book your arthritis evaluation at Animas Foot & Ankle today. You can either request an appointment online or over the phone.